So it finally arrived, the weekend I’ve been working towards for so long. After a last minute flight cancellation (thanks for that Norwegian) we arrived in Berlin just in time to collect the marathon start pack at the exhibition centre. After a quick check in at the hotel, we went out to find some carbs and then settled in for an early night. But can’t really say I got a good night’s sleep… The pre-race nerves were definitely acting up! Next day, Race Day! We woke up for an early breakfast, the hotel restaurant filled with marathon runners. After some last minute gear check, we made our way to the start area. Maddie, who was going to bike around the city following the race, gave me a good luck kiss and then I went on to find my starting pen. I had aimed for a time just under 4 hours, and everything went according to plan for the first half of the race. But somewhere around 30 km, I started to get cramps in my calf muscles. These grew worse for each kilometre and I had to do some walking and stretching to relieve the pain. This slowed me down, and in the end I finished just over 4 hours, on 4:13. I am still very pleased with my result as I know that I did everything I could, I didn’t leave anything on that course! The feeling of running through Brandenburger Tor, finishing line in in sight, will stay with me forever. It was truly magnificent, and I have already signed up for next year! Hopefully I will be lucky in the ballot. We had decided to stay two more days in Berlin, as we wanted to have some time to relax and explore the city. The hotel offered rental bikes, which was a very good strategy seeing as I had some issues walking the day after the race… We also did a river cruise, a nice way of seeing the sights of central Berlin (while resting my legs). Berlin turned out to be a very nice city for biking, and as we cruised around the city we managed to see most of the must-see sights. We definitely liked the Kreuzberg area best, it had a bit of “east London-feel” to it, and there were a lot of cool restaurants and bars. Also, close by is the old Tempelhof airport that has been converted into a really cool park, where you can run, bike or walk on the old runways. 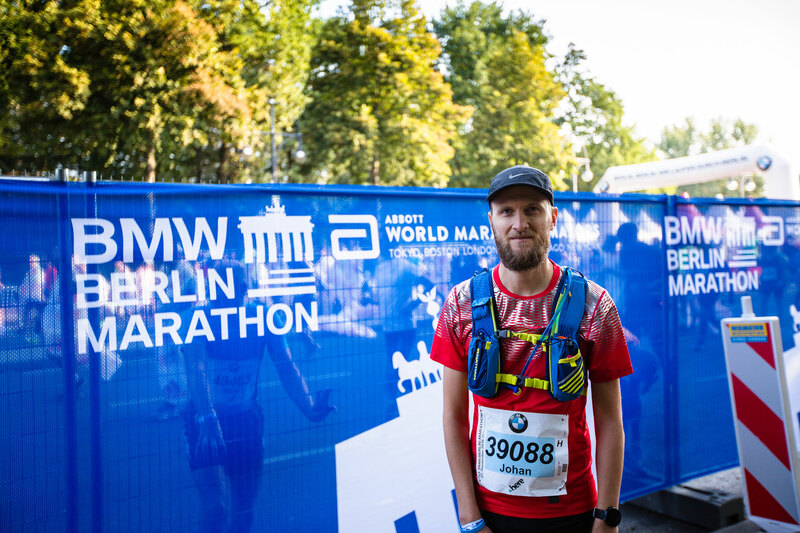 It was my first marathon as well as my first visit to Berlin and I will definitely be doing both again. Hopefully we will be back for the 2017 marathon.